A ballooning current account (or balance of payments) deficit, and an explosion in household borrowing. These were the two signs of impending difficulty, that Ireland ignored between 2005 and 2008. In 2008, Irish public opinion was so optimistic that it felt it could afford to reject an EU Treaty in a referendum, notwithstanding the disproportionate benefits Ireland got from EU membership. It reversed this decision in a subsequent referendum in 2009. The UK is exhibiting some of the same symptoms of overconfidence at the moment. The UK current account or balance of payments deficit for the last quarter of 2015 was 7% of GDP – the deepest deficit since 1955. The UK is spending more abroad than it is earning there. It is making up the difference with borrowing. A country that is borrowing more abroad must be particularly sensitive to the volatile opinions of foreigners. UK households now owe almost £1.5 trillion overall, up 4% on a year ago. The vast majority of that debt is in the form of mortgages, where lending growth has been climbing steadily since the start of 2015. Much of that has been driven by the buy-to-let sector. UK voters should be wary of overconfidence. They should remember what happened in Ireland. The UK needs its neighbours to prosper, just as its neighbours need the UK to prosper. 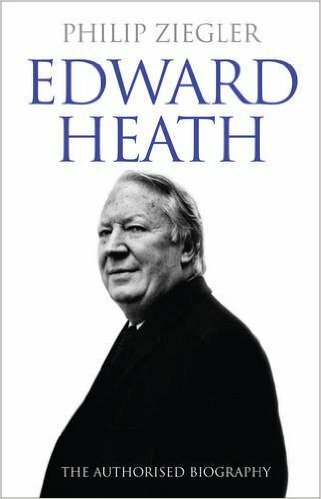 “Edward Heath, the authorised biography” by Philip Ziegler was published by Harper Press in 2011, but it is even more relevant today, as the UK contemplates whether it should undo the major work of Ted Heath’s career, that of bringing the UK into membership of the European Common Market, now the European Union. I only met Ted Heath once, in 1997 in the European Parliament, when we both received the Schumann Medal from the European People’s Party. In my case, it was in recognition of the success of the Irish EU Presidency of 1996. In his case, it was for something much more significant, and more difficult, reversing the post war isolation of the UK from the task of building an economic base for a peaceful Europe. In fact Ted Heath had made his maiden speech in the House of Commons in 1950 in the Schuman Plan for unifying Europe’s Coal and Steel industries, in which the then UK Labour Government had refused to take part. He wanted the UK to take part. I was delighted to meet him, as I had long admired him, not only because of his stance on Europe, but for his pragmatic and non ideological approach to politics. As Prime Minister, while he favoured competition and trade union law reform, Ted Heath attempted to reach understandings on incomes policy with trades unions and employers, an approach that was reversed by his successor Margaret Thatcher. She relied on reducing the money supply to bring down inflation, while he hoped it could be achieved by agreement. Her policy worked, but the social cost was high. His policy did not work because some key Unions, notably the miners, refused to cooperate, and the TUC was unable or unwilling to get them to change their minds. Unlike Margaret Thatcher and all his other successors as Prime Minister, Ted Heath had served as a soldier in World War Two. This direct experience of war, and a pre war visit to Nazi Germany, led him to put great emphasis on the need for Britain to positively contribute to the building of a structure of peace in Europe, as a participant not just as a bystander. 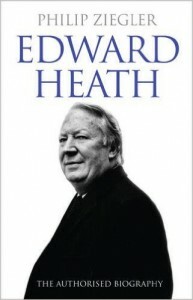 This biography reveals that, when in 1970 he eventually succeeded in overcoming the French veto on UK membership of the Common Market, Heath expected to be pressed to join the proposed common currency as soon as it could be set up. He was for the idea himself, but felt it would not be popular in the UK. By the time the UK eventually joined in 1973, the volatility caused by the oil crisis and the fragility of sterling would have precluded the UK from joining the single currency, if it had in fact been launched then. This biography explores Ted Heath’s difficult and solitary personality. While he had some very close friends, he never married, and was not gregarious. He never accepted his ejection from the Conservative Party leadership and this meant that he never regained much positive political influence, despite remaining in the House of Commons until he was 80 years of age. Prime Minister David Cameron’s letter, to European Council President Donald Tusk , about the renegotiation of the terms of UK membership of the EU, shows that he has invested time in trying to understand the perspective of other EU states. This is good. + the fact that a number of EU states are at risk of breaching the terms of the fiscal compact on debt reduction and fiscal deficits. A supportive attitude by the UK on the resolution of these EU wide problems would help create the impression that the UK is, potentially at least, in the EU for the long haul, which would make it worthwhile for other members to go all the way to their bottom lines in attempting to meet the UK’s requests. It is welcome that David Cameron’s letter says that he is open to “different ways of achieving the result” he sets out in his letter. It is also welcome that he seeks to put his proposals in a context of “reforms that would benefit the European Union as a whole”. He further says that it “matters to all of us that the Eurozone succeeds”. 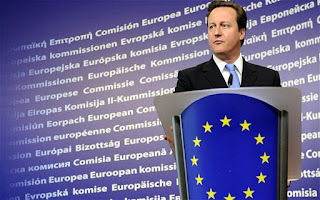 Although David Cameron has expressed similar sentiments himself before, these sentiments have not been prominent in much of the general UK debate on the EU, which has often tended to treat the EU as something alien, and a matter of indifference to the UK, which objectively it is not. Occasionally in the UK debate, “schadenfreude” has trumped UK interests. David Cameron’s approach is shaped by the contents of the Conservative Party Manifesto. It is a response to an expression of identity politics, which is a form of politics on which compromise is inherently very difficult indeed, as we know from Irish history. David Cameron’s letter deals with four sets of issue, and I will deal with each in turn. + any issues that affect all member states must be decided by all member states. I am not sure that these issues can be as neatly separated, as David Cameron suggests. For example, the bailout of Greece by the EU and the IMF was not just an operation in “support of the euro as a currency”. If Greece had gone under, UK banks would have been hit hard. Furthermore it is arguable that, even if it is not in the euro, the UK had a greater obligation to help a fellow EU member, in the situation Greece was in, than had (say) the United States. After all, the UK, even if not in the euro, as a member of the EU, had agreed to treat economic policy as a “matter of common concern” with all other EU states, including Greece, under Article 121 of the EU Treaty. Furthermore, the UK has had power to join fellow members in warning member states like Greece if they were deviating from agreed economic policies under Articles 121 (4), and under Article 126 . Non EU states were not in that position. In light of those articles, it is hard to see that the UK, as an EU non euro member, could say it has no more responsibility for helping Greece, than has a country that is not in the EU at all. If the UK wants that to be the position, its role in EU economic governance under article 120, 121 and subsequent articles of the Treaty should be changed. David Cameron also asks in his letter that the EU “do more to fulfil its commitment to the free flow of capital”, presumably across the whole of the EU and not just within the Eurozone. That sits uncomfortably beside his insistence that the Bank of England alone be involved in supervising UK banks lending across borders into the rest of the EU, including the Eurozone. As we in Ireland know, unsupervised flows of capital can contribute to bubbles in another country, and if those bubbles were to burst, none of the countries involved would escape the pain, including the countries whose banks had been lending the money, even if those countries were not members of the Eurozone. His principle that “any issues that affect all member states must be decided by all member states” is very widely drawn. Few EU decisions affect all members in precisely the same way. This principle could be interpreted to mean that the UK should have a vote on all Eurozone decisions. Virtually all Euro zone decisions will affect the UK to some limited and indirect extent , not least because the UK does so much business with the Eurozone. This is so even though David Cameron insists the UK will not be financially liable for any of those decisions. In a sense, his request could amount to the Boston Tea Party demand in reverse, namely as a demand for “representation without taxation”. David Cameron makes an interesting proposal under the heading of Competitiveness. It is potentially a big opportunity for Europe. I hope it will be strengthened and emphasised in the negotiations. His proposal is that the EU should “bring together all the different proposals , promises and agreements on the Single Market, on trade and on cutting regulation, into a clear long term commitment to boost the competitiveness of the EU, and drive jobs and growth for all”. This idea of a big competitiveness package, as a price for continuing UK membership of the EU, could be used to drive through changes that have been stalled for years by inertia in individual member states. In Germany, for example, the implementation of Single Market rules is often blocked at the level of the Lander. France is another country that could do more to open its market to EU competition, to the advantage of French consumers. If the British are to get a credible package on competitiveness, it may be necessary to demand prior enactment package of measures at national level, in all member states, in the same way as the Greeks had to pass certain laws, before they could get access to bailout funds. There is, however, one aspect of David Cameron’s letter which could potentially run directly counter to his desire to complete the Single Market. This is a proposal he makes under the heading of “Sovereignty”. Under this heading, David Cameron proposes that a group of national parliaments, presumably a minority , should be able to come together to stop what he calls “unwanted” (EU) legislative proposals. This idea that a minority could block a majority would alter the entire dynamic of EU decision making. It would make it hostage to the vagaries of national electoral politics in a new and unpredictable way. We should not forget that Lord Cockfield, the UK Commissioner, would never have been able to create the EU Single goods market, without the majority voting created by the Single European Act. This proposal is actually as likely to be used against UK interests, as in favour of what the UK wants under the heading of Competiveness. It is easy to envisage such a veto mechanism being used by a sufficient number of national Parliaments of other EU states to block legislative proposals to complete the Single Services Market or the Single Digital Market, both of which David Cameron wants, to protect some national vested interest. A solution might be to exempt all Single Market related legislation from this blocking mechanism. Another solution might be to associate all national parliaments with the EU legislative process in a manner similar to the involvement of the Economic and Social Council or the Committee of the Regions, but without creating a new veto point. 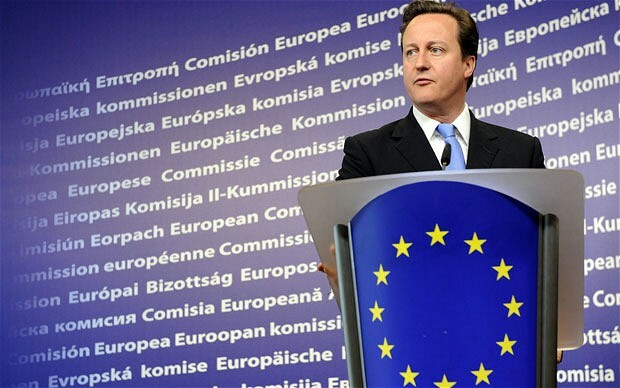 David Cameron also wants the UK exempted from the commitment to “ever closer union”. This phrase has been in all EU Treaties since the UK joined, and was in the EU Treaty when the people of Great Britain and Northern Ireland voted in a referendum to stay in the EU in 1975. + those committed to “closer union”, and + those who are not committed to it. This is a formal recognition that there is a “two speed” EU. This idea may be welcome by some big states but not by smaller ones. If Britain is exempted from the commitment to ever closer union, it is not hard to imagine that other EU countries will demand a similar exemption. He says he wants this distinction to be “irreversible”, which implies that a future UK government could not decide to commit itself to ever closer union in future, without getting the permission of all other EU states, by means of a Treaty change, or the amendment of a protocol(which is the same thing legally speaking). This runs counter to David Cameron’s own expressed wish for flexibility in the UKs relationship with the EU. The notion of legal irreversibility is contrary to the British constitutional tradition itself, which declares that Parliament is not trammelled by external legal constraints. A legal device can probably be found to accommodate this request but it does raise a wider question of whether the UK will ever be satisfied. The UK already has special arrangements on the euro, on passport controls, and on Justice and Home Affairs. The more exemptions it gets, the more exemptions it seems to want. Will this renegotiation /referendum process result in a full and final settlement, or will it just be an instalment? This is not a mere debating point. If the UK will keep coming back for more, the EU will never settle down. Indeed other member states may not be prepared to go all the way to their bottom line, if they feel whatever they offer could never satisfy UK public opinion. Immigration is the area in David Cameron’s letter which has attracted the most comment. There is no doubt that the UK has been more open to immigration in the past than have many other EU states. 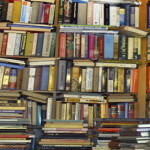 This is partly because English is a second language for people from all over the world. The restraint David Cameron is proposing will not change that. Clearly, if one does not like immigration, the fact that English is a second language for so many of the world’s population has disadvantages, as well as advantages. On the other hand, the cost of living in London and the south east of England is already a strong deterrent to immigration to that part of the UK. David Cameron wants, if the UK remains in the EU, to be able to require that people, coming to the UK from other EU states (presumably including from Ireland,) must have lived in the UK for four years, before they qualify for in work benefits or social housing. If this four year principle is accepted, it could be implemented in all other EU states for other purposes as well. David Cameron also wants to “end the practice of sending child benefit overseas”, which presumably means that an Irish worker in the UK could no longer get child benefit for his children, if the children are living in Ireland . The principle of not “sending benefits overseas”, if accepted , could conceivably be applied to pensions, which would affect the UK pensioners living in Spain. If one has to live four years in another EU country to get benefits, access to health services could also be denied to people living in another EU country. David Cameron then acknowledges that these issues are “difficult for other member states”. This is a revealingly narrow way of putting it. In his speech, David Cameron mentions “other member states” but does NOT mention Article 45 of the EU Treaty, which covers free movement of workers within the EU. “any discrimination based on nationality as regards employment, remuneration and other conditions of work and employment”. There is no reference in this Treaty Article to any qualifying period of residence to be free of such discrimination. In the UK, tax credit payments are dependent on worker’s hours worked and income, and whether they have children. So restricting them would amount to discrimination in income, between a UK citizen and EU immigrant, doing the same job in the UK. It would presumably apply to Irish workers in the UK who have been there for less than 4 years. It will be difficult for an Irish Government to consent to this. I would have expected David Cameron to have directly addressed the interpretation of Article 45 of the EU Treaties, rather than pretending the difficulty is with “other member states”. By targeting in work benefits so explicitly, David Cameron has left himself very little room for manoeuvre in light of the provisions of that Article. Indeed there were reports on the BBC this morning that the UK Government is now considering applying the 4 year rule to UK residents as well, which could mean that young, new UK born entrants to the UK labour market may not qualify for in work benefits until they have been working for 4 years. That would create a whole new swathe of people inclined to vote for the UK to leave the EU. This negotiation will not be easy. Sides have already been taken in the UK , regardless of what may be conceded in response to David Cameron’s letter. The impact on the EU itself, of a possible UK exit, is incalculable. So also are the effects of the precedent the UK is setting, and the consequences for the EU, of conceding some the UK requests. Solving this politically generated problem will require statesmanship and imagination of a very high order indeed. 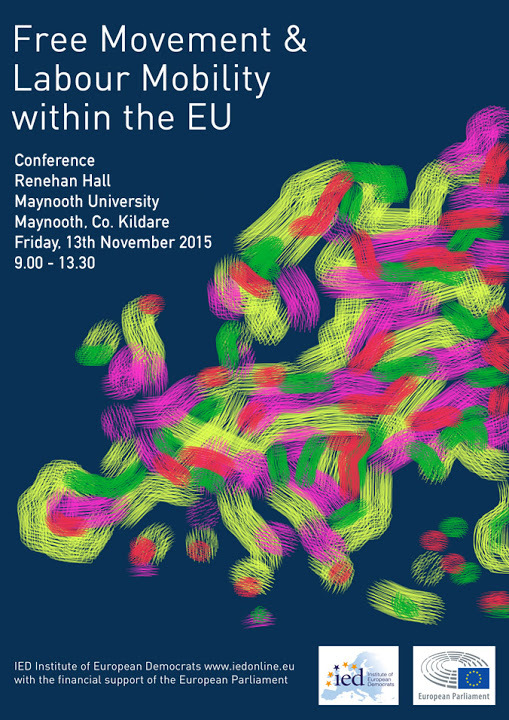 Keeping the UK in the EU is a vital matter for Ireland and for Europe. Speech by John Bruton, former Taoiseach and former EU Ambassador to the United States, at a seminar on “Free Movement and Labour Mobility in the European Union” organised by the Institute of European Democrats, in NUI Maynooth, at 12.20 pm on Friday 13 November . Residents of Northern Ireland will have a vote sometime next year on one of the most important issues to affect these islands, and indeed all the nations of Europe, namely whether the United Kingdom is to remain a member of the European Union, or leave. As I speak tonight, the UK government has yet even to put in writing what it wants changed in the EU. Yet, regardless of what it seeks or what it gets, the Conservative party, which forms the government, has surprisingly said it will remain neutral in the referendum anyway. In other word, it is asking individual voters to study, and decide upon, an issue in which their party itself is unable, or unwilling to make a decision. This is an example of the weakening ability of political parties in western democracies generally to lead, inform and mobilise public opinion. Rather than lead opinion, political parties react to it, a trend that is dangerous for the future. I expect the UK will make a presentation of its requests at the October EU Summit, and aim to wrap up an agreement at the December Summit. 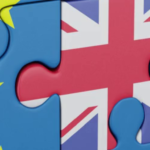 Only after December, will any positive case for continuing UK membership of the EU be made to the public, in what, given the inevitable complexities, hypotheses, and uncertainties to be explored and explained, will be a very short referendum campaign. Examples in Ireland show how unpredictable referenda can be, and how difficult it can be to adequately inform voters on issues which are, of their very nature, complex, hypothetical, contingent on the reaction of others, and uncertain. And, even if the UK referendum decision is to remain in, will that satisfy today’s Euro sceptics? Will the UK always remain, psychologically, on the sidelines of the EU? After all, no other country in the EU has so far demanded new terms for itself, as a price for staying in the EU. Could the EU exist for long if every EU state adopted the UK approach? 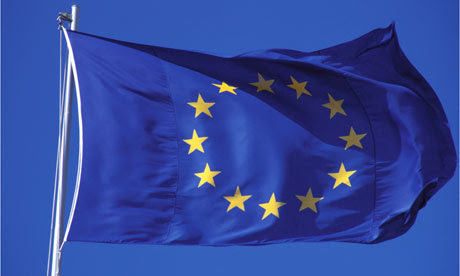 The European Union has evolved and developed over the past 70 years. But its goal from the outset has been, and remains, to cultivate so much mutual dependence between European states, that they could never go to war with one another again, as they did with such disastrous consequence in 1914-18 and 1939-45. More than any other part of this island, Ulster has suffered when European peace was shattered ….the losses on the Somme, and the repeated bombing of Belfast come to mind. 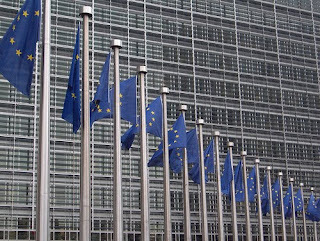 A decision by the electors of the UK to withdraw from the EU would be a huge blow to the EU. That is where the debate should start…what sort of Europe to we want? What sort of Europe will be feel safe in? A precedent has already been set by the decision of the UK to demand new terms for itself, under the shadow of an in/out referendum. Let us look down the road and see where it is leading, and if that is really somewhere we want to go. The precedent of a major European country, an EU member of 40 years standing which already decided by referendum in 1975 to stay in the EU, deciding for a second time to seek special terms for itself, with a threat of withdrawal is damaging already. But what of the further precedent that may yet be set. That precedent would be of a major country withdrawing altogether from the European Union, because its voters felt the special terms it got, were not good enough? The consequences of that for the cohesion of the EU itself are unknowable, but probably would be quite dramatic. It would most certainly weaken the EU. Some may shrug their shoulders at that, but should they? The UK precedent could be immediately seized upon by Madame le Pen in France who would seek a renegotiation of the French terms of membership. Geert Wilders in the Netherlands would not be far behind in saying that anything the UK can do, the Netherlands can do too. 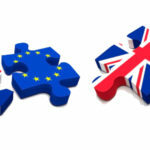 The EU, as a force that can protect and unify European interests in trade, intellectual property, environmental standards, that has already been weakened, by the uncertainty around a the UK renegotiation and a referendum, would be weakened further. All over the world, those who do business with the EU would begin to wonder….is the EU going to break up? 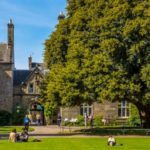 Are others going to follow the UK out the door? In a world in which Europe is becoming a smaller force, economically, politically and in population, a weakened EU would probably not be in the interests of Europeans, whether they live in Belfast or Bratislava, in Downpatrick or in Dubrovnik. A disunited Europe, of 28 or more separate countries, pursuing their own agendas would become a playground for outsiders seeking advantage and playing one off against the other. Vladimir Putin would be happy. So would Europe’s small number of potentially monopolistic energy suppliers, who could then more easily play one European customer off against the other. Europe’s borders could again become barriers behind which criminals could hide. So I would ask you, you who will be deciding this question…to consider not only how the decision will affect yourselves, or affect your local or national community, but also to consider how it will affect Europe as a whole, and its place in the world. Northern Ireland voters also ought to take some account of the effect of a UK exit in your more immediate neighbourhood. A study by the Centre for European Reform said that UK EU membership boosted UK goods exports by 55% over what they would be if the UK was outside the EU. That is a boost of £130 billion, which is three times as much as total UK exports to China. The UK’s National Institute for Economic Research estimated that leaving the EU would subtract 2.25% from the UK GDP. The losses would not be evenly spread. Regions in the UK which rely on services exports would lose least because the EU does not impose tariffs on services imports. But regions where manufacturing is important would be hit the hardest. The Centre for European Reform in London has calculated that, if the UK leaves the EU and if existing EU tariffs were then to be imposed on UK exports, the North East of England, with its big manufacturing base, would lose the most, the equivalent of 0.4% of its private sector output each year. Northern Ireland and the East Midlands would lose 0.35% per tear of their private sector output, but London, with its big tariff free service sector, would lose only 0.1% . Northern Ireland would lose almost twice as much as Wales would. Some might argue that this will not happen because they assume that, even if the UK left the EU, it would be able to keep full free access to the EU market. Maybe, maybe not. Switzerland has indeed negotiated tariff and duty free access to the EU market for its exports, but, in return it has had to accept immigration from the EU, contribute to EU funds for poorer regions, and has had to accept EU standards, in which it has no say. Given that these are precisely the sorts of thing that the UK objects too now, as a member of the EU, it will be difficult for UK to agree to pay that price for access to the EU Single market as a non member. Remember the negotiation of the UK’s exit terms, after a referendum decision, will be a time limited negotiation where others can play brinkmanship too. And bear in mind that an EU/UK trade negotiation will not be a negotiation of equals. The EU sends only 7% of its exports to the UK, whereas the UK sends 45% of its exports to the EU. One must ask if other EU states would want to create a precedent of giving terms to the UK that it has refused to Norway and Switzerland, as non member. If the UK exit terms are too generous, the precedent might encourage other states to leave, which of course they too are perfectly entitled to do. If the UK leaves the EU, the world will not stand still. At the moment, UK exporters benefit from any present or future trade and investment deal made by the EU, for example the mega trade and investment deal in prospect with the US. UK negotiators have an input to the terms. Outside the EU, they would have no say. Without the UK, the EU would have less clout. But the UK on its own will have even less clout than a diminished EU. Both of us would lose. And our competitors in Asia, the Americas, and elsewhere will gain. On the positive side, UK membership is vital if the EU is to complete its Single Market, particularly in services, especially digital services. Without the UK in the EU, protectionist forces would hold greater sway, and that would be a loss for UK exporters to Europe. The organisation “British Influence” has estimated that completing the EU Single Market could add 1.8% to the overall EU GDP, but it has gone on to estimate that completing the EU Single Market it could add 7% to the UK GDP (assuming the UK is still in the EU)! Without the UK, support for moving towards a full EU Single Market will be much less. Ironically one of the reported UK renegotiating goals, a veto on EU laws for a minority of national Parliaments, would most likely be used by others to block the completion of the Single Market, from which the UK has so much to gain. Referring to the North East of England, The CER noted that “ironically regions that have most to lose from leaving the EU tend to be the most Euro sceptic”. So it may be impossible, in a short referendum campaign, to convey all of these complex facts and risks to the electorate, given that there is so little knowledge of the value of the EU market, and the message will have to be conveyed through the medium of a press, much of which is viscerally anti Europe anyway. Coming closer to home, what might be the impact on Northern Ireland itself of the UK leaving the EU, and presumably taking Northern Ireland with it? Unless the UK can negotiate a special trade deal, like Switzerland and Norway have, and I have already indicated the difficulties with that, customs posts would have to be erected along the border again. That would disrupt lives, and it would disrupt business. Many firms process raw materials originating in the Republic here, and vice versa. All that would have to be subject to customs inspection, a costly and intrusive process. If the UK wanted to restrict EU immigration from across the land border, it would have to institute passport controls within Ireland…..something that never happened in history before. Smuggling would undergo a revival, with endless profit making opportunities would be opened up for subversives and organised criminals. I have attended a number of debates in London of the possibility of Brexit, and have been surprised by how little notice is taken of the implications for Northern Ireland. Similarly little notice seems to be given to the effect of the UK leaving the EU on Scotland, or to the consequent effect on the Union itself, a matter of concern to a significant section of the population in Northern Ireland. Given the difficulties that exist, as things stand, in applying UK budget limits to Northern Ireland, one must also wonder where funds will be found to replace the EU Single Farm Payment for Northern Ireland farmers, the EU rural development funds coming here, as well as the EU Regional Fund monies. The report prepared for the Northern Ireland Assembly by the Open University Business School, which I commend, says that between 2007 and 2013, a total of £2.42billion in EU funds came to Northern Ireland, of which £1.2billion was Single Farm Payments. Will the UK be able or willing to replace that, especially if it still has to contribute to the EU budget as a non member, to get access to the EU Single Market? I have focussed, so far, on the problems that might face the UK if it leaves. But my former constituents in Meath would not be unaffected. We would lose a friend in Europe if the UK leaves. We would lose the common EU framework for the whole island that has contributed so much to peace, and is specifically acknowledged in the Belfast Agreement. Our tourist industry would suffer if barriers have to be placed on the border again. But, we, south of the border, will have little say in the decision. You will. As I said at the outset, I hope you will think of what will be best for yourselves, but also what will be good for Europe as a whole, for the rest of the UK, and, I hope, for the rest of this small island on which we all live. Speech by John Bruton, former Taoiseach, at the annual dinner of the Council of the Incorporated Law Society of Northern Ireland, in the Ulster Museum, Belfast at 10.30pm on Friday 25th September . The Conservative plan, as set out in David Cameron’s speech, is to try to renegotiate the terms of UK membership in the EU, if it wins the next general Election, and put the terms to a referendum. The risk is that Labour may feel under pressure to adopt a similar policy, so as to prevent a leakage of its votes to UKIP. It is very unlikely that the results of any such renegotiation, whether conducted by Labour or the Conservatives, will satisfy British popular expectations. And if that is the case, the UK electorate may choose in a referendum to leave the EU. This renegotiation is likely to be a disappointment because the expectations in Britain are vague and unrealistic. David Cameron did not offer any clear negotiating objectives in his speech. He seemed to think that the EU Single Market was some sort of freestanding entity separate from common EU policies on regulation, working time, transport, and education. But for other EU nations, it was in return for policies on these things, that they opened their markets to the rest of the EU, in the first place. The Single Market is a delicate political construct that cannot be easily unpicked. And while accepting that the EU needed to resolve the euro crisis, he wanted “contrition” to be expressed by those who created the euro, notwithstanding that Economic and Monetary Union was on the EU agenda before a previous Conservative Prime Minister negotiated the UK’s entry terms! He also wanted the goal of “ever closer union” dropped from the EU Treaties, even though that too was part of the Treaty before the UK joined. The UK renegotiation will not be with bureaucrats in “Brussels”. It will be with the Governments of every one of the other twenty-six states in the EU. Britain may want to pay less, but other countries may want it to pay more. Many other EU countries see the very things British negotiators would most like to be rid of – like the working time directive – as part of what they gained, in return for their opening up to the Single Market in the first place. Concessions on these issues will, in particular, be anathema to left leaning Governments, of which there are an increasing number. Exempting Britain from the Common Agricultural Policy (CAP), another possible British demand, will get nowhere. 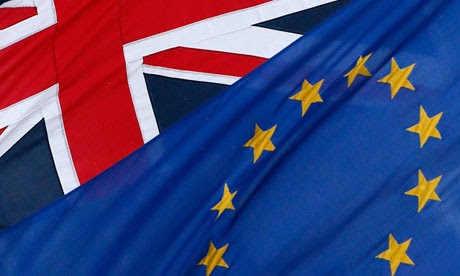 British popular opinion has been constantly led to believe that the EU is a foreign entity, with which Britain has a sort of treaty, and not as what it actually is – a Union of which the UK has a participating member with a vote on every decision. 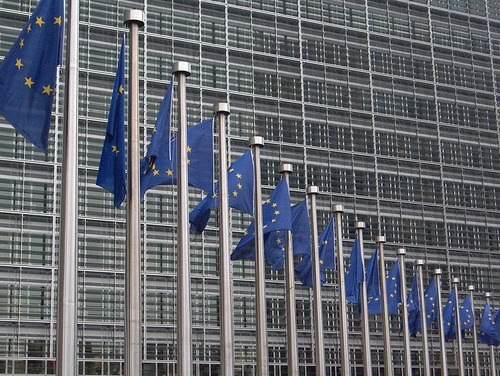 The role of British MEPs, British ministers, and a British Commissioner in EU decisions has been systematically ignored in the UK media and all decisions inaccurately presented as emanating from an “unelected” bureaucracy. If possible results of a renegotiation are hyped up in the next British General election, and lots of “red lines” promised, the actual results of the renegotiation will prove to be paltry by comparison. That could lead to UK exit. Northern Ireland, and its reversible peace process, is being ignored in the debate taking place in Britain. It is also being ignored in the rest of Europe, where the impatience with the British is palpable. Obviously if the UK leaves the EU, it will negotiate a new relationship with the EU. One of the big drivers of anti-EU sentiment in Britain is immigration of EU citizens from central and eastern European countries, like Romania, Bulgaria, and the Baltics. Gordon Brown famously encountered this sentiment during the last British General Election. If the UK leaves the EU, it would be free to restrict immigration from some EU countries. But, as a continuing member of the EU, the Republic of Ireland could not do so. So if the UK wanted to prevent these EU citizens entering the UK through the Republic, it would have to introduce passport controls at Newry, Aughnacloy, Strabane and on all other roads by which such EU immigrants could cross the border from the Republic into the UK. If the UK is outside the EU, tariffs would have to be collected on UK exports entering the Republic and vice versa. Average EU tariffs are quite low, but some tariffs, on things like dairy products and clothing, are quite high. Customs posts would have to be placed on all roads leading across the border to ensure collection of these tariffs. Smuggling, with all its potential as a funding source for other forms of illegality, would become very profitable again. Since Northern Ireland came into being as a separate entity in 1920, the large nationalist minority there has retained a very strong sense of identification with the rest of the island. The possible reintroduction of customs posts, and of immigration controls, would undermine the efforts that have been made , in the Good Friday Agreement, to reduce the divisions between North and South and between Ireland and the UK. Given that UK Prime Ministers have had to devote so much time to the so called “Irish Question” for the last 150 years, it is amazing that the current UK debate on EU membership is being conducted as if Ireland did not exist, or the UK had no interest in it. There is a big snag here. To enjoy continued free access to EU markets for its goods and services, Britain would have to continue to apply EU rules, as now, but WITHOUT having had any say at all in them – something the UK does have as an EU member. David Cameron had a point yesterday when he argued that the nature of the EU is changing in response to the euro crisis, and as a non euro member the UK’s relationship with the EU will change anyway. But there was absolutely no need for him to promise an in or out referendum, which places him in a straight jacket.